Light micrograph using differential interference contrast (DIC) of a human head louse (Pediculus humanus capitus). This exoparasite has a large head with two eyes (black) and two small jointed antennae. 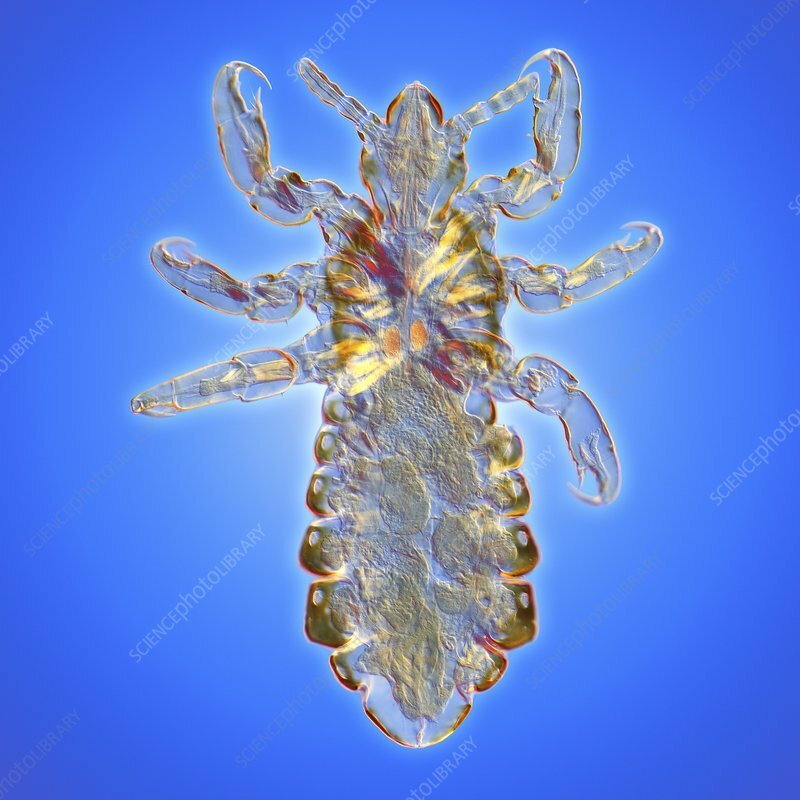 Head lice lay eggs on the hairs of the head. Symptons are itching and scratching which causes lesions such as impetigo. Vertical object size: 2.0 mm.